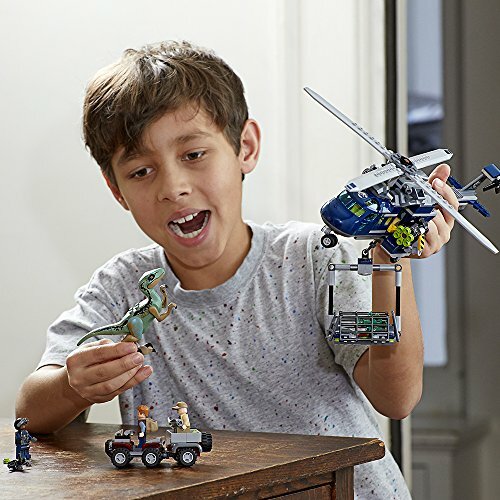 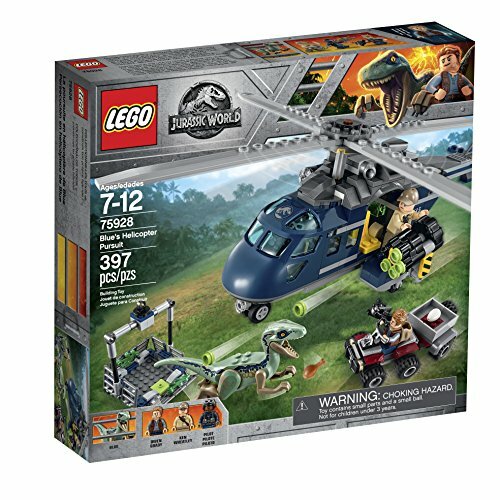 Unite Owen with the faithful Velociraptor in this thrilling LEGO Jurassic World 75928 Blue's Helicopter Pursuit play set. 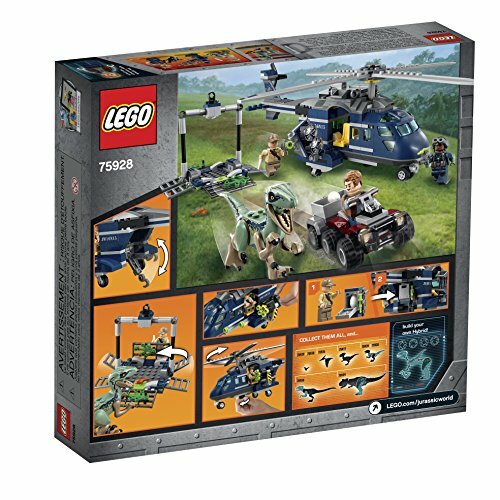 Wheatley has trapped Blue in a cage and attached it to his helicopter, featuring rotating blades, 6-stud shooter and dual searchlights. 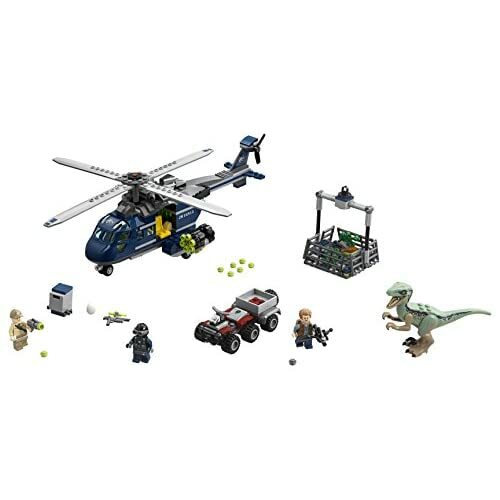 Set off in the quad bike with trailer and fire the crossbow, rescue the dinosaur and retrieve the dinosaur eggs. 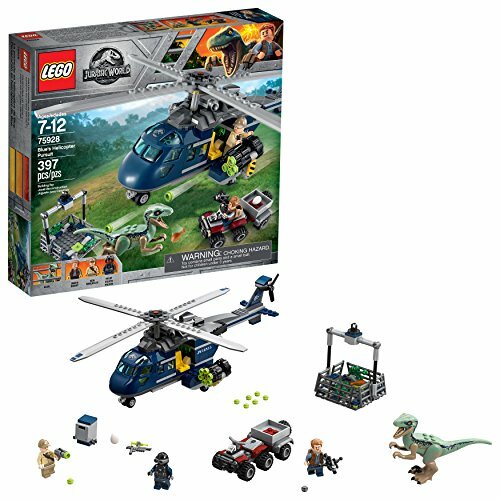 This cool Jurassic World set includes 3 minifigures and a Velociraptor Blue figure.